DUI charges are common in Colorado, and have devastating consequences for the futures of those involved. Being convicted of driving under the influence can mean the revocation of your driver’s license, staggering fines, probation, jail, or prison time, and difficulty maintaining or finding employment. For these reasons, it is vital that you make sure your case is represented by a skilled Boulder DUI lawyer. Though many Boulder law firms advertise themselves as well-staffed with Boulder DUI lawyers, Phil Clark is a former prosecutor with the experience and knowledge necessary to protect your future during this uncertain time. Read on for more information on how to protect yourself when facing a DUI charge in Colorado. Penalties for drunk driving are often severe for first time offenders, and even worse for multiple-time offenders. A first-time offense can result in up to a year of jail time and fines that range from $600 to $2,100, not to mention a possible revocation of your driver’s license for up to 90 days. A second DUI likely means more jail time, higher fines, and a lengthier suspension of your driver’s license, depending on the circumstances. A third conviction brings increasingly harsh penalties. Some states increase the punishment level to a felony after multiple DUI convictions. 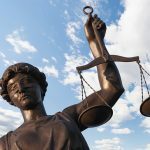 Even if you are not charged with a felony, your third offense will certainly mean more mandatory jail time, higher fines, lengthier suspensions, and more rigorous rehab requirements. 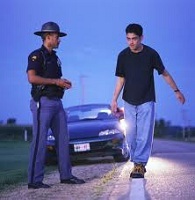 In addition to the above consequences, a DUI conviction means that you have a criminal record. Employers, landlords, insurance companies, credit bureaus, and other authorized organizations may have access to this information and limit your options as a result. Perhaps this is the best reason to make every effort to protect yourself in court against a DUI conviction by contacting a skilled Boulder DUI attorney. Being charged with this offense can severely limit your options in the future. When you allow a Boulder attorney to give you counsel and represent you in court, there are several things he or she can do to protect you. They can challenge the blood alcohol testing reliability, offer expert evidence that you weren’t under the influence while driving, and obtain evidence relevant to your charges. All these things often mean the difference between a conviction and salvaging your future. While researching Boulder lawyers, consider Phil Clark. As a Boulder attorney with extensive experience in DUI charges, he knows how to protect your future and your assets. Contact Boulder lawyer Phil Clark today for a free consultation for your individual case.